Aloha! 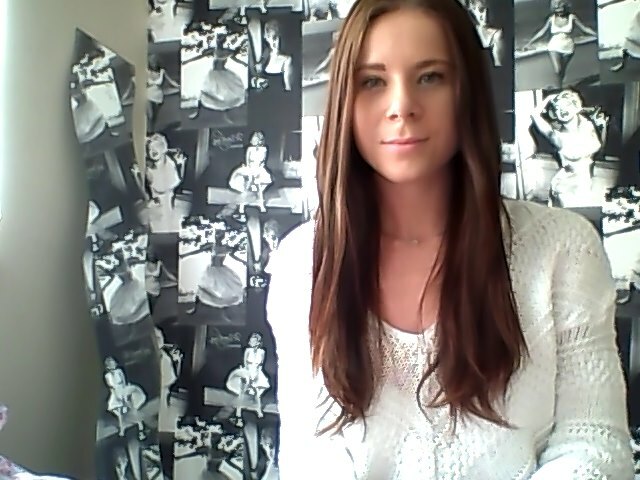 Thank God it is Friday! Although I have had a really short week due to the Bank Holiday, I am so thankful it is Friday. I have had a few sleepless nights this week & so I have been feeling so tired at work. Anyway, todays outfit is completely made up of pieces from Miss Selfridge & Primark. That was totally unintentional & I actually didn’t realise until a moment ago when I wrote down where my clothes are from! I love this white sweater, so chic, boho looking & perfect for chilly days like today. 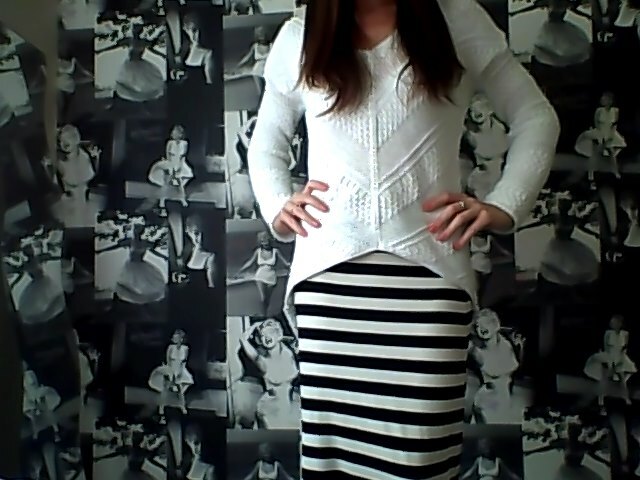 I teamed it with this lovely stripe maxi skirt which is from Primark. The skirt was a total bargain (like everything from Primark) only £8.00! 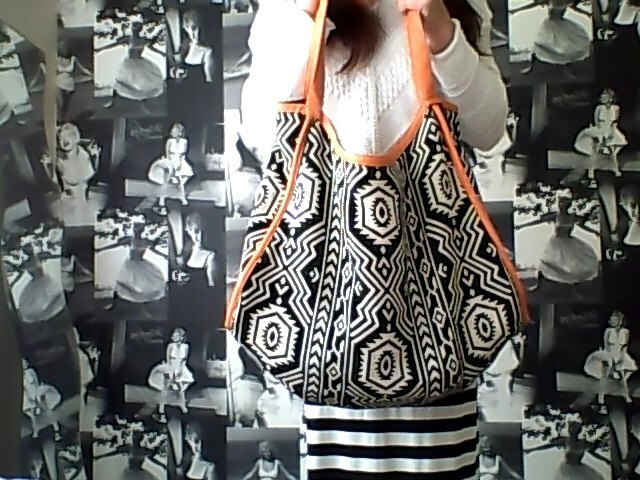 I used my Aztec Print Bag from Miss Selfridge. I haven’t used this bag in a while & I thought it was time I got full use out of it. It is huge, almost as big as me! I do have a lot of things I carry around with me – you know, just incase! On my feet I wore this beautiful beaded sandals which are also from Primark. I bought them last Summer & I can’t quite remember the price but I am sure they were super cheap. I love the different coloured beads & I think they matched rather well with my pink nail polish! I hope you have all had a really lovely week. I am not off for the weekend – woo hoo! I can’t decide which of this pieces I like the best… the whole look just works! Well done!! That bag… oh my girl. It’s so gorgeous and giant, love it! Oh I love that sweater and that bag and those shoes! So so so great!